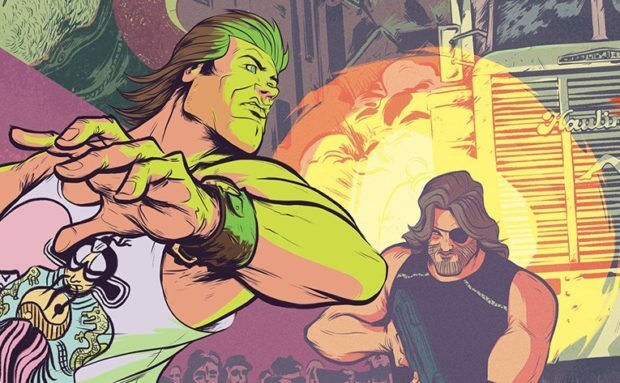 Two of the greatest pop culture creations of the 1980s are about to meet face to face in comics — even though they were both played by the same actor! If we could add in Cap’n Ron and Dexter Riley, it could be CRISIS ON INFINITE KURT RUSSELLS! But seriously, Boom! 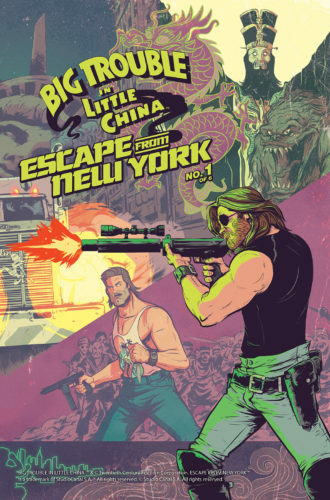 Studios absolutely shook the pillars of heaven with their Road to Comic-Con announcement that they’ll be launching a crossover title between Escape From New York and Big Trouble In Little China. Details of the plot? It’s almost beside the point; just look at the pedigree. 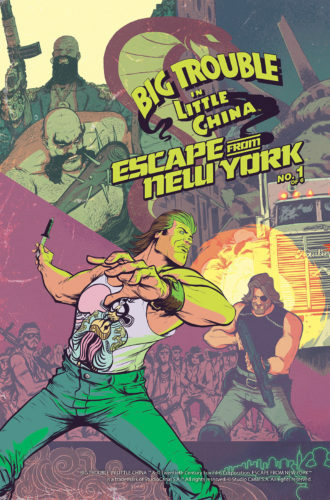 Greg Pak (writer of Totally Awesome Hulk and Action Comics, and a terrific filmmaker) scribes the adventure, with art by Russ Manning Award nominee Daniel Bayliss (artist on the fascinating Kennel Block Blues). 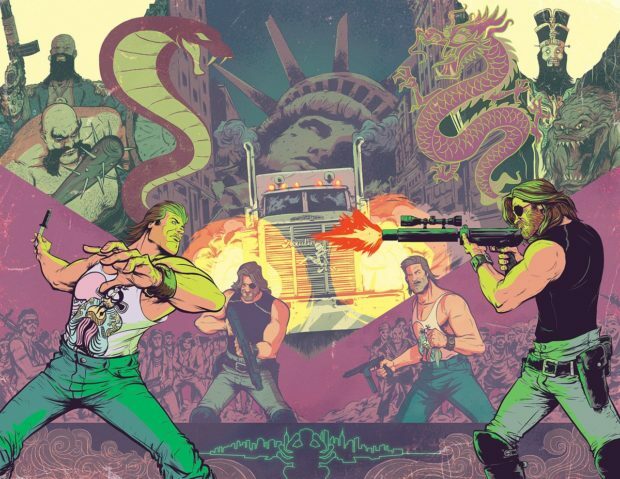 Six issues, astounding action, and we can’t wait.